The news comes hours after we published that the New York startup was reportedly looking for underwriters to pen a potential initial public offering (IPO). The new capital comes from existing investors NEA, IVP, Norwest and Target, as well as several new investors, including Dani Reiss, chairman and CEO of Canadian, outwear maker and retailer Canada Goose, and Gordon Segal, founder and former chairman of Crate & Barrel. The latest raise takes Casper’s total funding raised to nearly $340 million since its inception in 2013. Casper has also added Karen Katz, former Neiman Marcus CEO, and Reiss to its board of directors. The company did not comment on the IPO rumors but in a press release said it was planning to use the funding toward scaling its retail fleet, wholesale distribution and e-commerce channels. Casper told me via email it plans to “invest in R&D… for future product innovation.” It added that its revenue in 2018 topped $400 million, compared to a reported $600 million from its launch date in April 2014 through the end of 2017. Interestingly, Casper said it has grown revenue by $100 million every year since launching. Specifically, it earned $100 million in revenue in 2015—its first full year of operating. It then doubled that in 2016 with $200 million in revenue, and then $300 million in 2017. The company currently has 500 employees, compared to 400 last July. Casper started out selling its mattresses online before opening its own brick-and-mortar “Sleep Shops” across North America last year. Its products also sell at retailers such as Target and Hudson’s Bay. 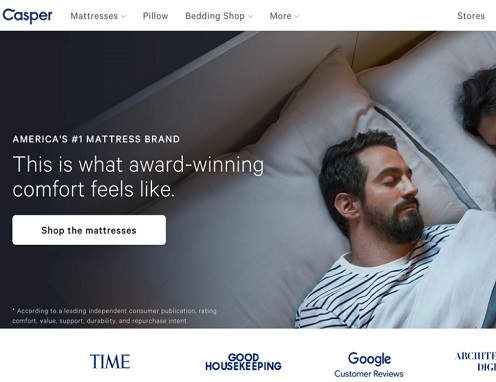 For more details on Casper and the mattress industry as a whole, check out our coverage from this morning and last July.